IT'S that time of the year once again. As technology morphs at warp speed, this holiday season provides an incredible variety of possible gifts. In this column, I want to suggest some tried and true items along with some exciting new offerings. » Microsoft's second-generation gaming machine, the Xbox 360, is finally here. A combination gaming, media hub, and online communications device, it is essentially a high-end PC gaming machine. Packed into a small box, it complements an HDTV or PC system and allows you to plug a digital camera, flash card reader, thumb drive, or music player so you've got plug-and-play access to photos or MP3s. It is available in two versions. The $299 core system offers the basics -- console, single wired controller, and a standard composite A/V cable. The $399 "premium" setup includes the console, a wireless game controller, a communications headset, a component A/V cable, an Ethernet networking cable, and a snap-on 20GB hard drive. The hard drive is a must-have so I'd say it's smart to drop the extra $100 if you decide to buy. The downside: technical bugs to work out; small choice of games; noisy exhaust fan; no wireless networking; lack of upgrading DVDs to HD; and, at this point, it's probably overpriced. See www.xbox.com. » The Olive Symphony, which retails for $900 has got to be one of the more innovative stereo components around. It has a CD player that easily allows you to rip songs and burn them on the drive. You can get up to 20,000-songs with the MP3 format or choose WAV, AIFF or FLAC for better quality (and less capacity). The Symphony will also easily record old vinyl records and tapes. (As I said in earlier column, you can do this on your own but it's a bit of a hassle.) 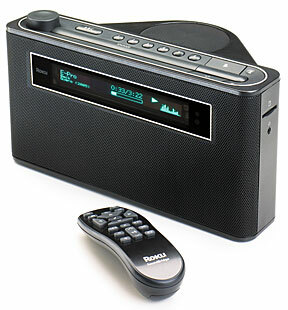 As if this isn't enough, Symphony is Web-enabled (with wireless capabilities) and serves as an Internet Radio and a network device that allows you to play your music collections on your home network computers. But wait, there's more! Symphony is not only a Wi-Fi receiver -- it can act as an access point. Thus if you connect it with a cable or DSL modem, it will enable laptops to share an Internet connection. Go to www.olive.us for more information. » The Canon Digital Rebel XT EOS-350D ($850) is one of the latest in Canon Digital SLR series and many experts consider it to be the best entry-level digital SLR on the market. It offers nearly all of the features of the more expensive EOS-20D professional model but for hundreds less. There's no start-up wait, focusing speeds are rapid, and shot-to-shot times are nonexistent. The Rebel XT can take about fourteen shots in a row at just under 3 frames/second (the best in this class) and photo quality is excellent. At 8 MP, it offers plenty of resolution. As with all with all D-SLRs, Canon does not include a memory card, so you'll need to include that in the total purchase price. It's recommended that you get 512MB at the very minimum. Overall the Rebel XT is a perfect choice for the photographer who has outgrown a fixed-lens camera and is primed to move up to a digital SLR. See canon.com. » If you're an Internet radio freak, your time has finally come. The SoundBridge Radio ($400) acts and looks like a real radio -- complete with alarm clock so you can put it on your nightstand. Don't worry about accuracy -- the time is regularly updated via the Web directly from an atomic clock at the naval observatory. In addition to Internet radio stations, it has standard AM and FM and streams your own music collection or services such as Rhapsody, and iTunes music off your PC's hard drive. The idea is to offer quality sound from a small box -- it has stereo speakers and a subwoofer, an SD slot, a headphone jack, a remote control, and buttons for 18 presets. Like the Olive Symphony, it's essentially a PC peripheral with built-in Wi-Fi, so there are no cables to deal with. Is this way cool or what? See www.rokulabs.com. » If you're looking for the tried and true, you can't do better than the iPod. The 30GB iPod, introduced last year is slightly thinner than its predecessor and now has a battery that will last for least 14 hours. The other new feature is the 'Click Wheel", which allows your thumb to stay put rather than having to stretch upward. The result: This iPod has more movable parts but is ultimately more user-friendly. Price for the 30 GB model is about $299. For both audio and video playback, check out the iPodD 60GB, which is the newest kid on the block. 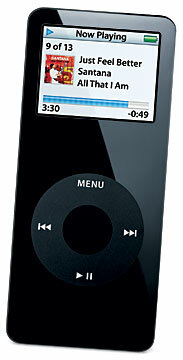 The 60 GB iPod is the ultimate MP3 player but also plays AAC, Apple Lossless, WAV, AIFF, and Audible audio files. At heart it's a music player but also allows you to browse photos, watch a slide show, view video podcasts, audiobooks and music videos. Price for the 60 GB unit is around $399 Go to www.apple.com/ipod. » Finally for those of you (like me) who travel a great deal, the Slingbox enables you to watch your TV programming from wherever you are by turning an Internet-connected PC into your personal TV. Whether you're in another room or in another continent, you'll always have access to your television. You can even use it to watch whatever might be saved on your DVR. $250 buys you the box, which sits like a giant chocolate bar on top of your TV. 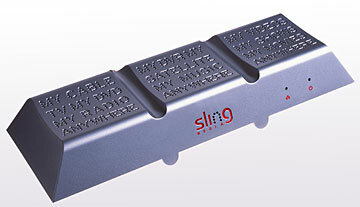 See www.slingmedia.com. Kiman Wong, general manager of digital phone at Oceanic Time Warner Cable, has been a telecommunications and computer expert for 25 years. He can be reached at kiman.wong@oceanic.com.